Castiel. . Wallpaper and background images in the Castiel club tagged: on the head of a pin season 4 supernatural castiel misha collins the rapture it's the great pumpkin sam winchester season 5. 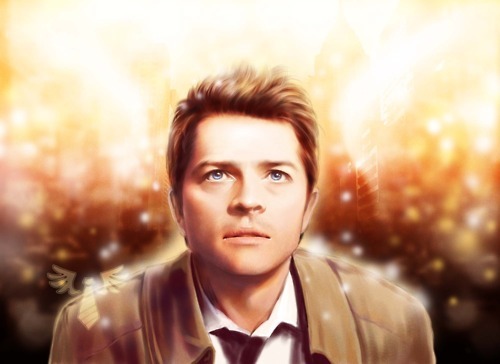 This Castiel fan art might contain potret, headshot, and closeup.